As anyone who has set foot on a plane lately — let alone tried buying an airline ticket — can tell you, things aren’t what they used to be. Airfares seem to be getting both cheaper and more expensive. Carriers continue to merge and consolidate, while new airlines keep appearing. Nonstop routes between unusual city pairs are cropping up all the time, and connections on airlines that never used to be partners are now the norm. In short, air travel is changing faster and in more ways than ever before. 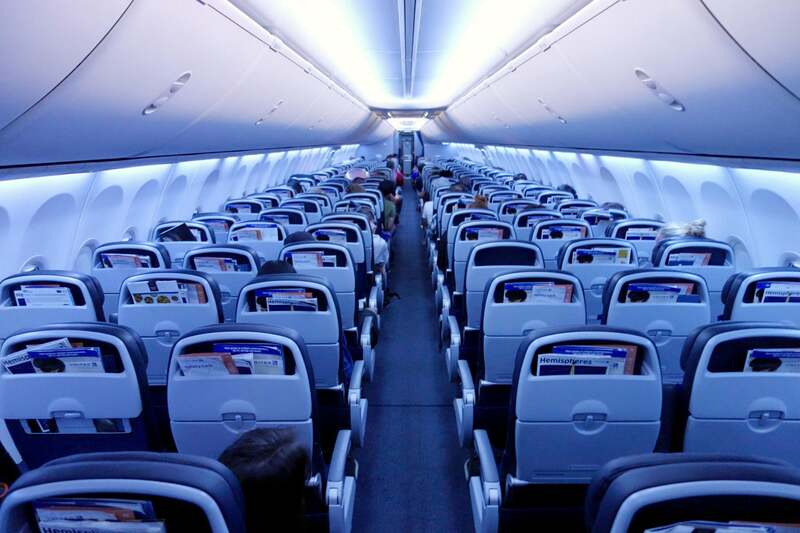 Here are 14 important ways the airline industry will evolve over the next decade. Almost twice as many by 2035, actually. According to an International Air Transport Association (IATA) report from late last year, there were about 3.8 billion air passengers in 2016, but that number will steadily balloon to 7.2 billion by 2035. To be clear, “air passengers” are not individual travelers, just total numbers of people flying, so five people flying once count as five air passengers, but one person flying five times also counts as five air passengers. IATA’s projection is predicated upon a compound annual growth rate of around 3.7% assuming the current regulatory environment remains fairly consistent. As yet, there is no telling what policies like the Trump Administration’s travel ban will have on IATA’s numbers just yet, though there has already been a measured slump in tourism to the US this year according to figures from the US Travel Association. 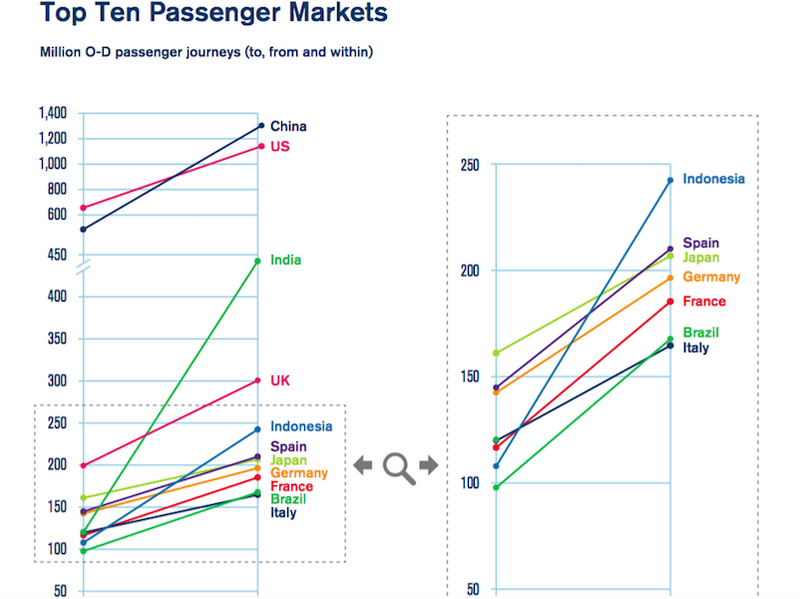 IATA’s passenger projections. Image courtesy of IATA. Also according to the same IATA study, most of those new passengers will come from Asia, specifically China, India and Indonesia. IATA predicts that routes to, from and within the Asia-Pacific region will account for 3.1 billion annual passengers by 2035, a growth rate of 4.7% per year. By contrast, the North American and European markets will have the slowest annual growth rates of 2.8% and 2.5% respectively. China is expected to overtake the US as the largest passenger aviation market in the world around 2024, by which time India is also expected to jump ahead of the UK for the number three spot. Only the United States cracks the top five fastest-growing national aviation markets in terms of overall passenger numbers. China ranks number one followed by the US and then India, Indonesia and Vietnam. 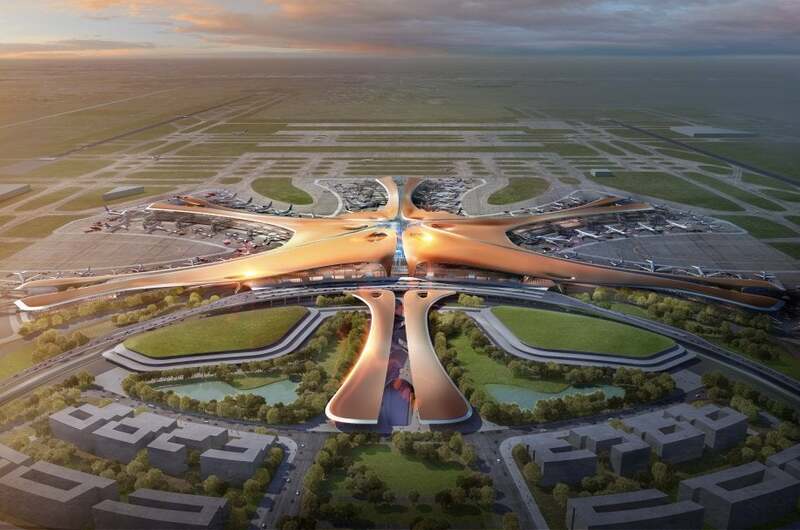 A rendering of Beijing’s planned new airport. There are a few key reasons we will see all this growth originating in Asia, according to IATA Senior Economist David Oxley. Chief among those is the rise in incomes and middle-class populations there paired with cheaper air travel. Oxley calls this a “trend of pulling people into air travel” with dual increases on both the supply and the demand sides. While the middle classes in developing countries might represent smaller proportions of their populations, because of the overall size of those populations, the absolute numbers of people in this new demographic will be enormous. In short, there are going to be a lot more consumers. That will lead, said Oxley, to many more first-time flyers. “With 20 years of strong growth, we predict the Chinese aviation market reaching 1.3 billion annual passengers. But the average Chinese citizen will still only be flying a fraction of the times the average American will,” he said. Despite limited penetration in the US market and Southwest Airlines’ early history aside, low-cost carriers have been operating and growing for decades in other regions including Europe and Asia, and have begun to dominate some of those markets. In fact, Ryanair overtook Lufthansa to become Europe’s biggest airline by passenger numbers in 2016. 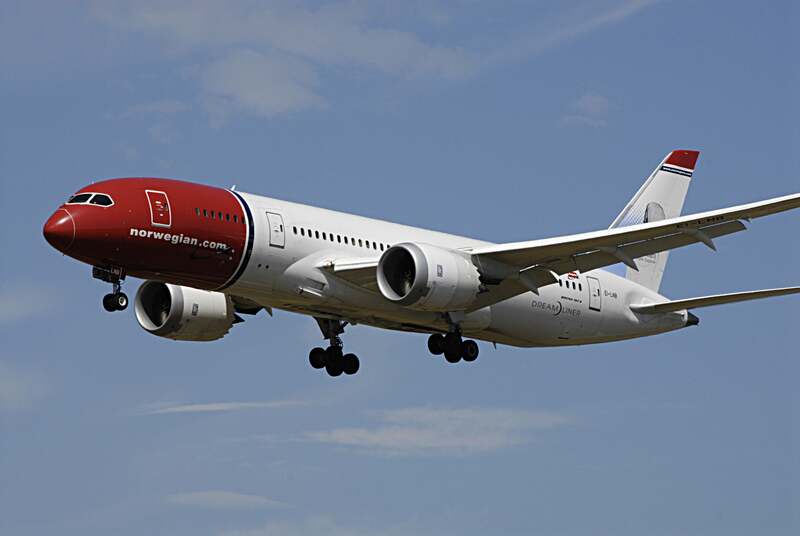 Once limited to specific regions, lately we have seen low-cost carriers muscle in on long-haul international routes, including relatively recently established carriers like Norwegian and WOW, which both seem to launch new routes to the US almost monthly at this point. We’ll see more carriers like Norwegian expanding their route networks. Image by Francis Dean/Corbis/Getty Images. In a report released at the beginning of the year by the International Civil Aviation Organization (ICAO), low-cost carriers transported more than one billion passengers for the first time in 2016 and accounted for 28% of passenger air traffic, also an all-time high. In Europe, they accounted for 31% of the market, while in North America and Asia, that number was slightly lower at 25%, though the ICAO pinpointed emerging economies as driving the major growth in low-cost carriers and passenger traffic overall. It’s not all sunny. Many experts contend these carriers are overextending themselves by leveraging their fleets and finances in ways that could eventually spell their ruin. But for the moment, they have created enough pressure in certain markets to bring airfares down to levels under $200 round-trip in some cases from the US to Europe and $400 from the US to Asia, even from the legacy carriers who find themselves competing for passengers with these upstarts. Low-cost carriers like WOW are expanding their route networks monthly. Some of those legacies are also responding by starting or strengthening their own low-cost arms, like Lufthansa’s Eurowings, Level from IAG (British Airways and Iberia) and Scoot from Singapore Airlines. In short, low-cost carriers are here stay, and so are lower fares, depending on oil prices. He points to India as a good example of this where he noted a rapid increase in the number of low-cost carriers and their capacity, both associated with strong economic growth in the country. While he also noted that the low airfares we have seen in recent years are primarily a result of the sudden increase in competition in the market, he does believe we will see a continuation of this trend, whether or not fares continue to fall as sharply as they have so far. Picking up on the success of the low-cost model, many traditional airlines have also started to sell cut-rate tickets with literally no inclusions — ahem, United Basic Economy! — as well as offering higher-priced bundled options. Both American and United introduced Basic Economy back in February. Both airlines have dramatically expanded the routes on which these new fares are available, with American taking its fares nationwide. United rolled out, then rolled back Basic Economy earlier this year. However, facing customer pushback and the fact that it was not netting the incremental revenue expected, United recently decided to roll back Basic Economy somewhat by taking it off some routes and restricting it to the bottom five fare classes instead of its entire fare structure. While that’s a short-term win for consumers, expect United to be watching American and learning from its attempt before trying a broader approach again. As more US flyers become accustomed to purchasing tickets with either à la carte additions like seat selection or checked baggage, or bundled options that include several amenities that were once standard but are now supplemental, expect airlines to further diversify their fare offerings. We might even see this expand beyond economy cabins into business and first class. Just like any business, airlines want your money, and anything they can do to make paying quicker and easier will be a good move. Although it’s already easy enough to purchase tickets using a credit card or even Paypal, airlines are looking to diversify their payment options. That’s good news for customers, especially since some carriers (notably low-cost ones) pass along credit card processing charges to consumers. Having more options means potential savings for customers. 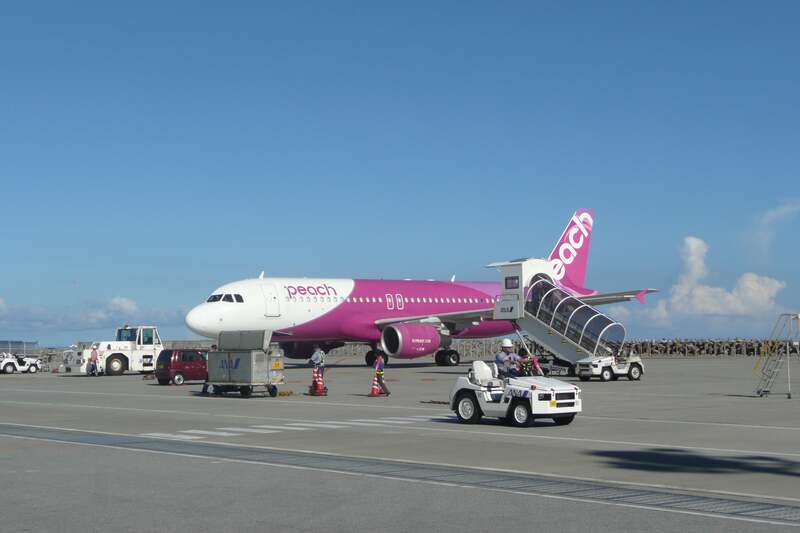 Japanese airline Peach accepts Bitcoin, and other airlines might do the same soon. An airline in Japan called Peach is already accepting Bitcoin, while KLM has become the first non-Chinese airline to accept WeChat Pay, which is part of a social media platform in China, with 600 million users of its payment service, accounting for more than 40% of all mobile transactions in the country. It’s a smart bid to open up payment options to people who might not otherwise have a way to purchase tickets. Expect more airlines to follow suit. In its most recent 20-year market forecast, Boeing predicted that the world will need 41,030 new aircraft by 2036. Of course, Boeing can’t manufacture all those planes on its own. Nor can it and Airbus together, even with other established brands like Bombardier and Embraer added into the mix. Enter Russia and China. Both countries have made major recent pushes into commercial aircraft manufacturing. In May, China flew its largest commercial jet to date, and has teamed up with Russia to produce a new long-haul plane, while Russia has manufactured a new narrowbody called the Irkut MC-21 that took to the air for the first time just days after the Chinese jet. 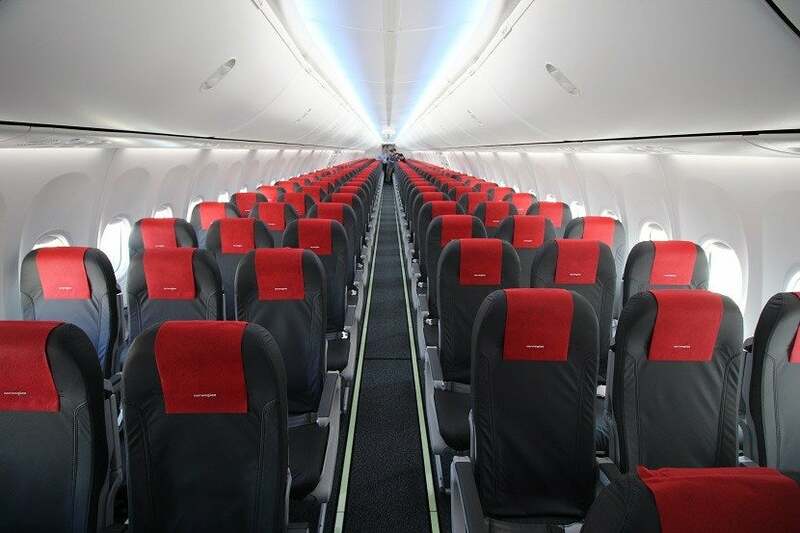 Both are similar in size to the Airbus A320, seating around 150. 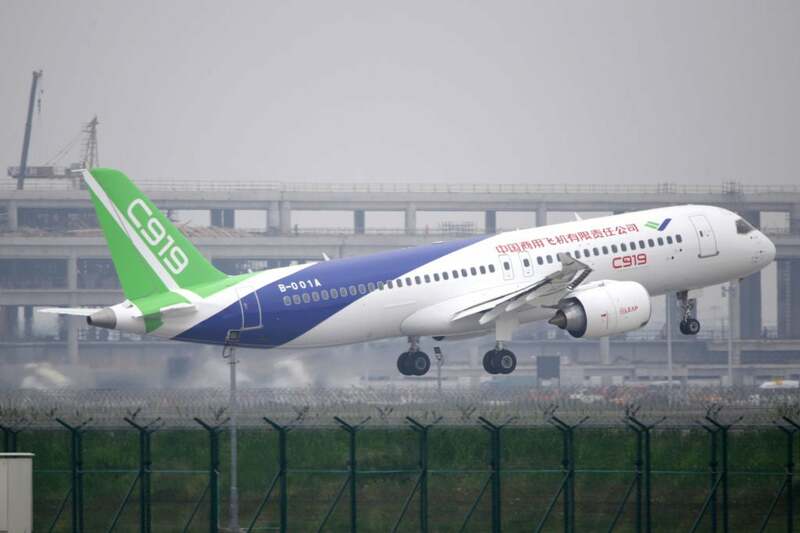 The COMAC C919 made its first flight on May 5th. Image by VCG/Getty Images. Joining an airline alliance was not only a sign of prestige for some international carriers, but it also promoted smoother operations on the airline side and a streamlined passenger experience on the consumer side, not to mention the added benefit of letting flyers earn and redeem miles on potentially dozens of airlines. Now, however, we’re seeing a number of moves indicating the day of alliances may be passing. Airline alliances like oneworld will start to fade. Airlines including all three major US legacy carriers have devalued partner mileage earning and redemption, discouraging their customers from booking away from them to their partners. At the same time, we have seen the establishment of myriad non-alliance partnerships. American Airlines, for example, is partners with Qatar Airways through Oneworld, but also with its regional rival Etihad outside of an alliance. Though it is in SkyTeam, one of Delta’s most important partners — and one in which it has a huge investment — is non-alliance carrier Virgin Atlantic. Qantas, also in Oneworld, forged a close partnership with Middle East carrier Emirates, which, despite a recent operations shift from Dubai to Singapore on Qantas’s part, remains strong. We have also seen a complex network of inter-airline investments take shape, some of which reinforce existing alliances, while others have been used to form relationships outside the alliance system. Among the most interesting: American’s recent investment in SkyTeam carrier China Southern, which signals a strategic move by AA to focus on the Chinese market in the coming years. 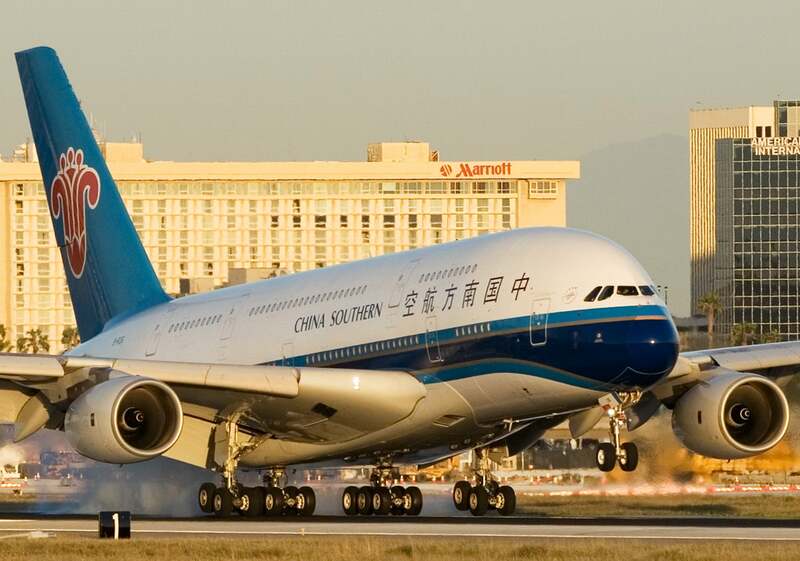 Expect more inter-airline investments like American’s recent stake in China Southern. Image by Alberto Riva / The Points Guy. Going forward, what we might see are models more like that of Alaska, which partners with individual carriers in all three alliances now, but also independent operators like Emirates, Fiji Airways and Icelandair. Alaska’s flyers get access to those carriers’ networks in other parts of the world, while inbound travelers are funneled to Alaska’s system of routes in North America. It should come as no surprise, what with airlines retiring old Boeing 747s and even relatively newer A380s right and left, but carriers are shifting their fleet strategies toward smaller, more fuel-efficient planes rather than ordering the jumbo jets of yore. Bloomberg speculated that Airbus might reduce or eventually end production of the A380 if it does not secure a large Emirates order by the end of the year. Even airlines that have ordered larger versions of next-gen jets like the largest of the A350s, the A350-1000, have downgraded some orders to smaller A350-900s. We’ll see even more long-haul routes operated by narrowbody planes like this Norwegian 737MAX. Part of the reason airlines want smaller, more efficient jets is that many are shifting, at least partially, from the traditional hub-and-spoke model to one that involves more point-to-point flights between two specific cities. That hub-and-spoke formula can work well in that it consolidates fleets, allows for schedule optimization and is a good system for getting customers between cities not linked by a nonstop flight because of range limitations or other reasons. We’ll start seeing more point-to-point long-hauls like Qantas’s imminent Perth-London route. However, new aircraft capable of spanning half the globe means that point-to-point flying is becoming more viable. This type of system allows airlines to be more nimble by moving aircraft around more efficiently where they might be needed for seasonal routes or ones where they do not need the capacity of a jumbo jet. So it is likely that we will see not only more routes like Air China’s from Beijing to San Jose, but also more like Qantas’s imminent Perth-London route connecting cities that would not otherwise be possible or economical to link. Both will also utilize the Boeing 787, which is ideal for this sort of flying. Despite that, though, airlines will still try to dominate specific regions. Part of what has made Delta such a success story is the fact that it essentially is the only choice in much of the southeastern US thanks to its enormous Atlanta hub and the network it operates out of there. Alaska is hanging tough due to its West Coast dominance, despite an encroachment from Delta on its Seattle hub. 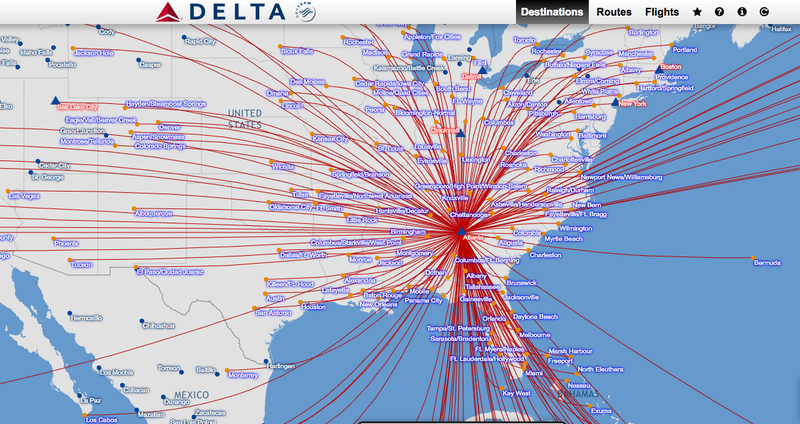 Expect more airlines to try to establish regional dominance like Delta has done in the Southeast. This is not only true of US carriers and markets, though. Finnair CEO Pekka Vauramo has bet on being a gateway from Europe to secondary Chinese cities specifically — thanks partly to the airline’s fleet of A350s — offering choices other European carriers are not. Essentially, we’re going to see a lot more carriers carving out region-specific niches in the hopes of making money by providing options to underserved consumers. One of the major downsides of air travel is its tremendous environmental impact. Global aviation creates about 2% of all human-produced carbon dioxide emissions and that is projected to increase as the industry grows in the coming decades. Airlines and governments are taking steps to alleviate some of that impact, but have made few major strides so far. Among the most publicized is the Carbon Offsetting Reduction Scheme for International Aviation (CORSIA) put forward by ICAO, which has been agreed to by 68 countries representing around 90% of international aviation with the goal of achieving carbon-neutral growth starting in 2020. 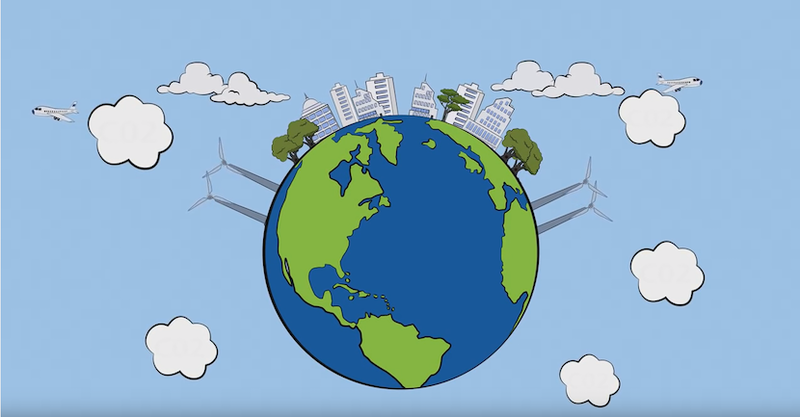 CORSIA intends to offset aviation’s carbon footprint with reductions in other sectors. Image courtesy of ICAO. That sounds pretty good, right? Unfortunately, there’s more to the story than that. The main instrument through which CORSIA will function is a cap-and-trade type system where emission “units” will be traded on a type of carbon commodity market. So while this will theoretically allow airlines to offset some of the their emissions, in reality, it will aim to achieve neutrality by declines achieved in other sectors rather than in aviation itself. Before we get too down on the industry, though, it helps to remember that fuel can account for 30-40% of a typical airline’s operating costs, so it is in the airlines’ best interests to become more fuel-efficient. In the air, that will mean flying more next-generation aircraft that incorporates the latest fuel-saving technology. Manufacturers like Airbus and Boeing are also constantly testing and innovating in order to improve efficiency. For example, the new Boeing 737MAX family of jets have winglets designed to reduce drag and improve fuel efficiency by 1-2%. Over the decades-long lifetime of an aircraft, that can add up to many millions of dollars in savings. 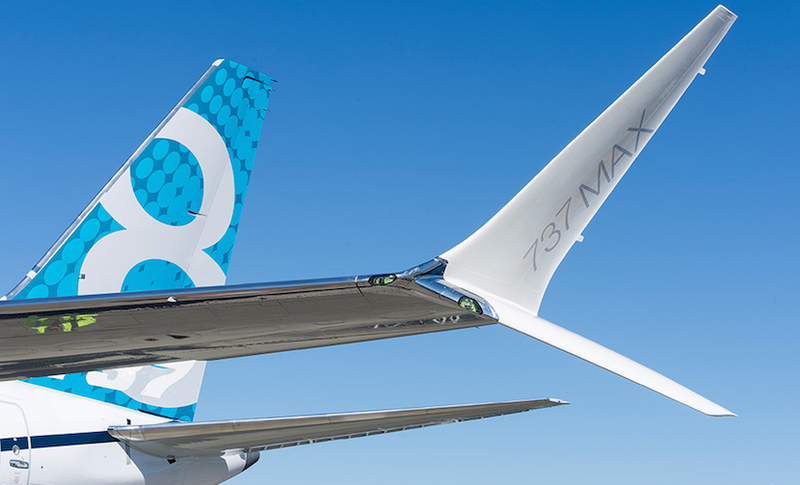 Aircraft manufacturers will continue to innovate with fuel-saving design like Boeing’s new winglets. Image courtesy of Boeing. Airlines have also been working on incorporating increasing proportions of biofuel, which typically gives off much less carbon dioxide than fossil fuels, into their everyday operations. One notable example is United Airlines, which partnered with the AltAir refinery to provide biofuel to the airline’s hub at Los Angeles (LAX). Again, progress is slow and small in scale — the airline purchased just 15 million gallons over a three-year period, to create a fuel blend of as much as 30% biofuel — but at least it’s something. With all the increases in air traffic, how will air traffic control systems cope? The major hope in the US lies with the FAA’s so-called NextGen system, a program aimed at transitioning outdated ground-based airspace navigation to a satellite-based system that uses GPS. That should hasten both communication times and make transmissions over greater distances and more varied terrain better. The satellite-based system should pave the way for more precise navigation and traffic-control procedures, allowing for more direct routings and fewer altitude adjustments, all of which would ease some of the airspace congestion around busy airports. 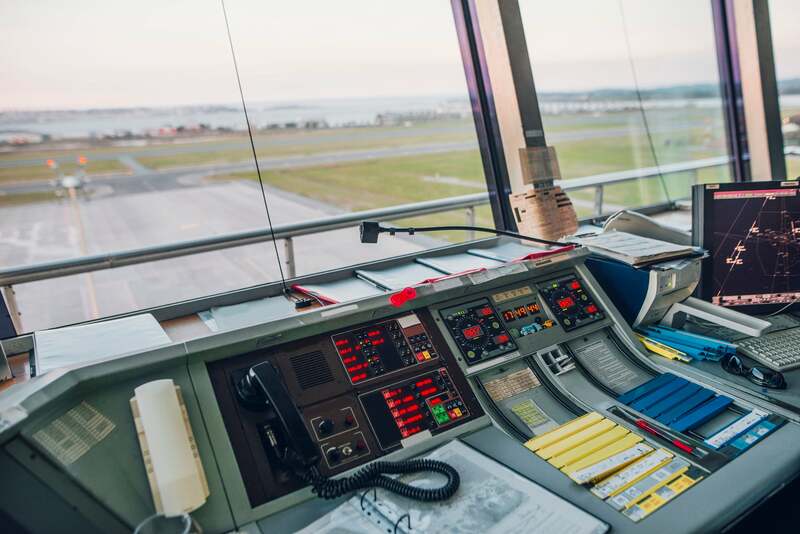 Air traffic control will get better…but how quickly? Parts of the program are already in place and operating at several airports in the US. It is supposed to be fully operational by 2025, but only time will tell whether budgetary concerns and disagreements between the Trump Administration and Congress over privatizing air traffic control will set the timeline back. Let’s end on a fun note. Despite the proliferation of low-cost carriers and basic economy fares, the business- and first-class cabins are still where airlines make a lot of money, and carriers are still interested in wooing the flyers who can afford to fly them. Though pricing, partnerships and seating options are probably still the most important considerations, airlines are not slacking on service and so-called soft amenities such as meal service and amenity kits. Amenity kits are only going to get better. 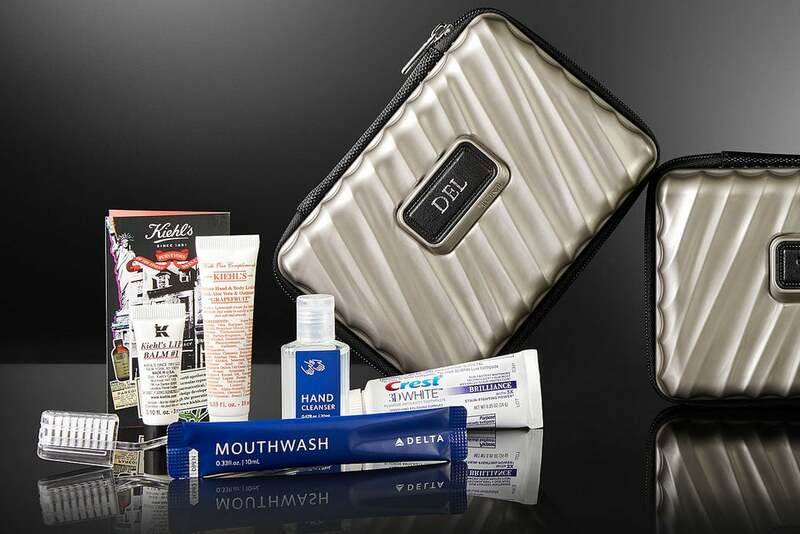 Many airlines partner with celebrity chefs like Joël Robuchon and Daniel Boulud (Air France) to create their premium menus, and reach out to brands like Ferragamo (Singapore Airlines) or TUMI (Delta) on amenity kits to further distinguish the in-flight experience, and that’s not going to end anytime soon. As passengers come to expect big names on board, those of us who can afford tickets — or who put our miles to good use — in first and business class can only expect things to get better. Featured image by John Greim/LightRocket/Getty Images.